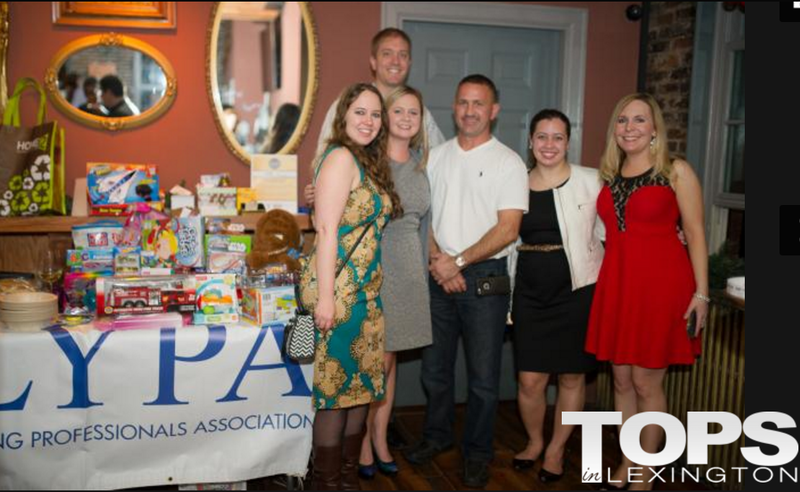 Each year the Lexington Young Professionals host a Holiday Party and Toy Drive to raise toys and donations for the Fraternal Order of the Firefighters Toy Drive. This year’s holiday party took place on December 11th at Belle’s Cocktail House. The event helped raise 96 toys and close to $400 in donations for the 84th annual Lexington Fraternal Order of the Firefighters Toy Drive! At the event, FOF President, John Durr spoke to the group about the toy drive and what it means to the families in Lexington who would otherwise not be able to provide Christmas for their kids. Thank you to all of our members and guests who helped donate to the wonderful program! Last year, thanks to donations from the public, the Firefighters Toy Drive provided Christmas toys to over 2,000 children.